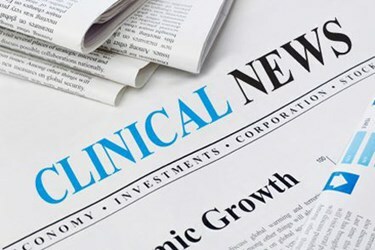 Almac Clinical Technologies has announced a strategic partnership with inVentiv Health. The partnership will provide clients of both companies with streamlined access to clinical trial Interactive Response Technology (IRT) solutions. Through the partnership, Almac will provide IRT solutions to inVentiv clients. inVentiv’s IRT specialists will also join Almac’s consulting team of more than 500 individuals. Skalicky notes inVentiv selected Almac as a partner based on the company’s dedication to customer focus, expertise, and innovation, commitments that align well with inVentiv’s dedication to accelerating client success. Matt Cocking, director of marketing for clinical technologies at Almac, told Clinical Leader that customers have been expanding their use of IRT. Although historically designed to accommodate the randomization of patients in trials and allocate investigational treatments accordingly, the systems now capture broader features emerging in the market. Those features include electronic-reported outcomes, titration/dosing calculations, blinding of patient labs or results, supply accountability, reconciliation, and returns. ERT, a provider of patient data collection solutions in clinical development, has announced the acquisition of Exco In Touch, a provider of patient engagement, data capture, and digital health solutions. ERT will now enable sponsors to turn to one partner for support of the full clinical development-to-commercialization spectrum. Tim Davis, founder and CEO of Exco In Touch, notes ERT is the eCOA industry leader with a strong history in developing novel eClinical products and technologies to minimize risk and uncertainty in clinical research. “They were an obvious choice when we were assessing our strategic business development options. 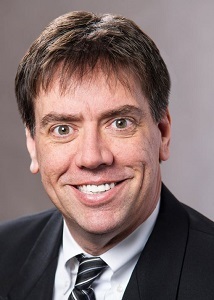 Now biopharmaceutical companies can turn to one company for all of their eCOA, patient engagement and commercialization needs, with confidence that their programs will have the right level of experience and expertise, anticipatory oversight, and adaptive problem solving required to ensure the most reliable results,” says Davis. Congress has passed sweeping legislation that boosts funding for medical research and eases the development and approval of experimental treatments. The Senate voted 94 to 5 in favor of approval, following a similarly lopsided 392 to 26 vote in the House. Democrat Senators Elizabeth Warren (D-MA) and Bernie Sanders (I-VT) criticized Big Pharma’s involvement in the bill, while republican Mike Lee (R-UT) questioned the cost. All three were among the five who voted against it. The $6.3 billion bill will now move to President Obama’s desk. The President has praised the bill and vowed to sign it. The bill pays for some of his projects, including the precision medicine initiative and the Joe Biden-led cancer moonshot. "This bill will make a big difference, and I look forward to signing it as soon as it reaches my desk," the President said in a statement. “We are now one step closer to ending cancer as we know it, unlocking cures for diseases like Alzheimer's, and helping people seeking treatment for opioid addiction finally get the help they need." The 21st Century Cures Act has been two years in the making since it was first introduced by Rep. Fred Upton (R-MI) and Rep. Diana DeGette (D-CO). It has been one of the most heavily lobbied pieces of legislation in recent history. The bill pays for cancer research and the fight against opioid abuse, funds mental health treatment, helps the FDA speed up drug approvals, and pushes for better use of technology in medicine. The bill provides for $4.8 billion in new funding for the National Institutes of Health, of which $1.8 billion is reserved for the cancer moonshot to accelerate research in the field of oncology. Another $1.6 billion is earmarked for brain diseases including Alzheimer’s, and there is $500 million in new funding for the Food and Drug Administration. $1 billion in grants will be provided to help states deal with the current opioid epidemic. A statement released by The Healthcare Supply Chain Association (HSCA) and its group purchasing organization (GPO) applauded Congress for bipartisan efforts to pass 21st Century Cures legislation and its commitment to improving patient outcomes and reducing costs. HSCA urges the president to swiftly sign the legislation.